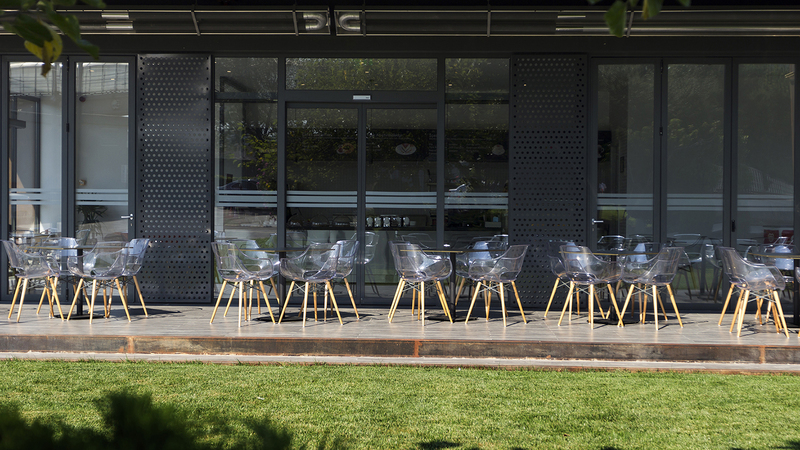 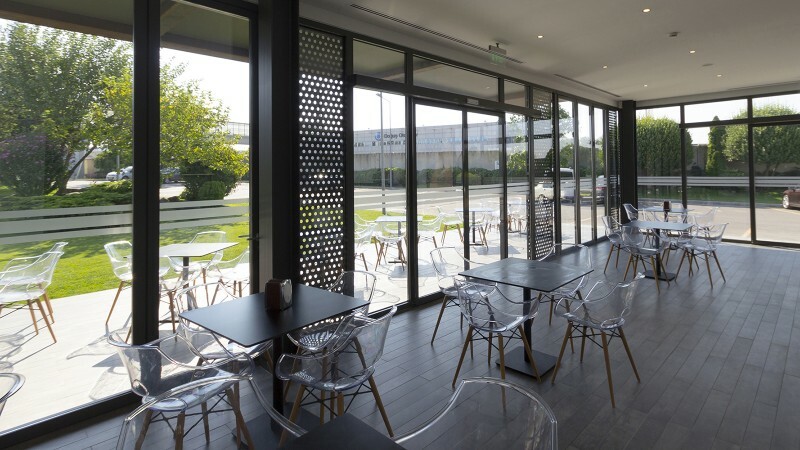 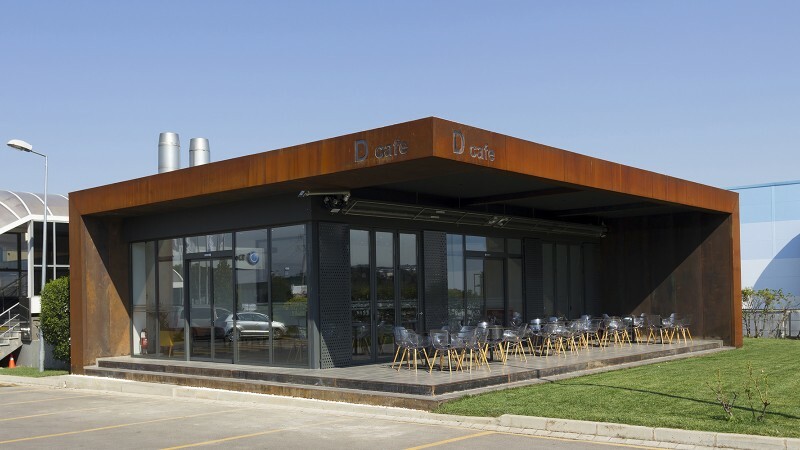 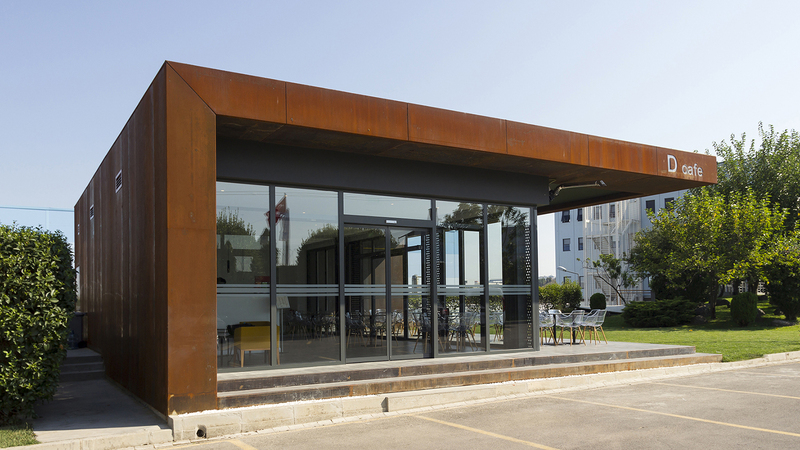 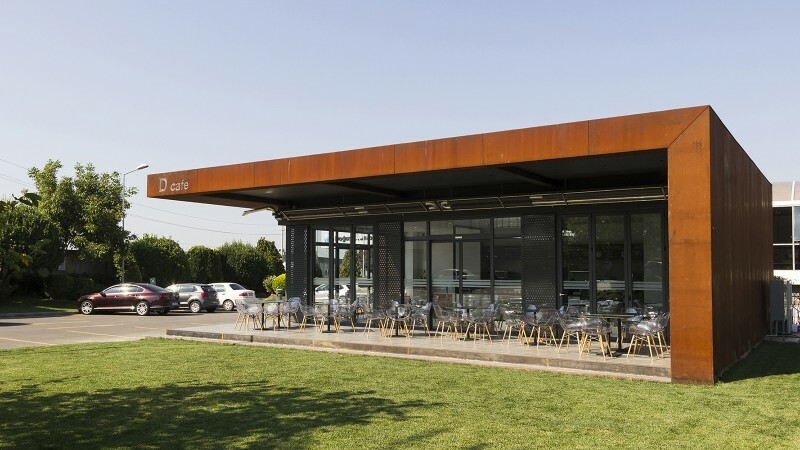 D Café is designed under the concept of providing a social interaction space for employees of the corporate campus of Doğuş Automotive in Şekerpınar. 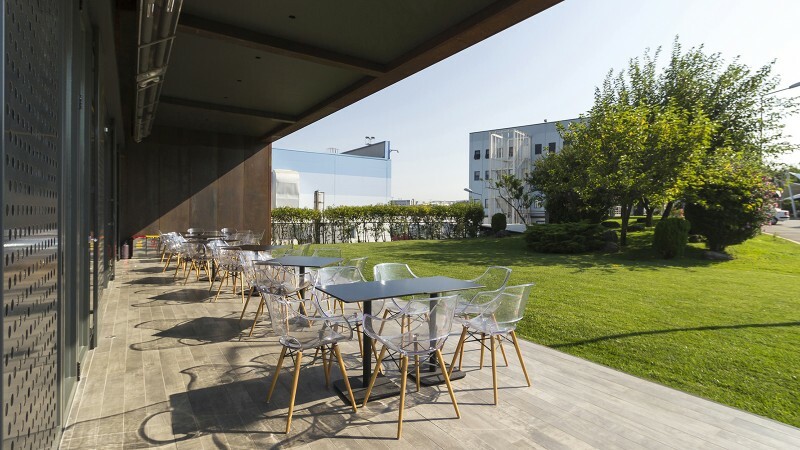 While simplicity, human scale and transparency are inviting the users to explore, it softens the solid impression by integrating building with landscape, and offers a humble communication medium. 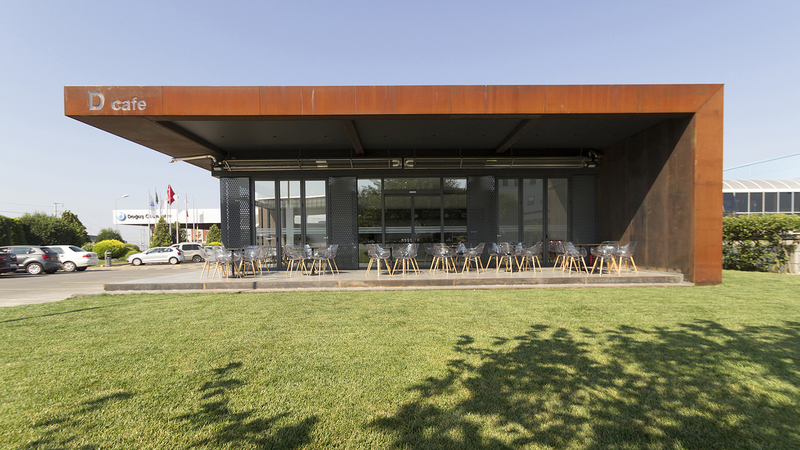 The integrated design approach supported by creating a design language with the facade and mass of the building. All interior elements follow the same language with the building in harmony with their material, texture and color selections.